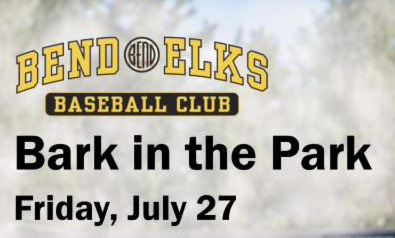 Load-up your dog and head to Vince Genna Stadium for the Bend Elks Bark in the Park game on Friday, July 27th. 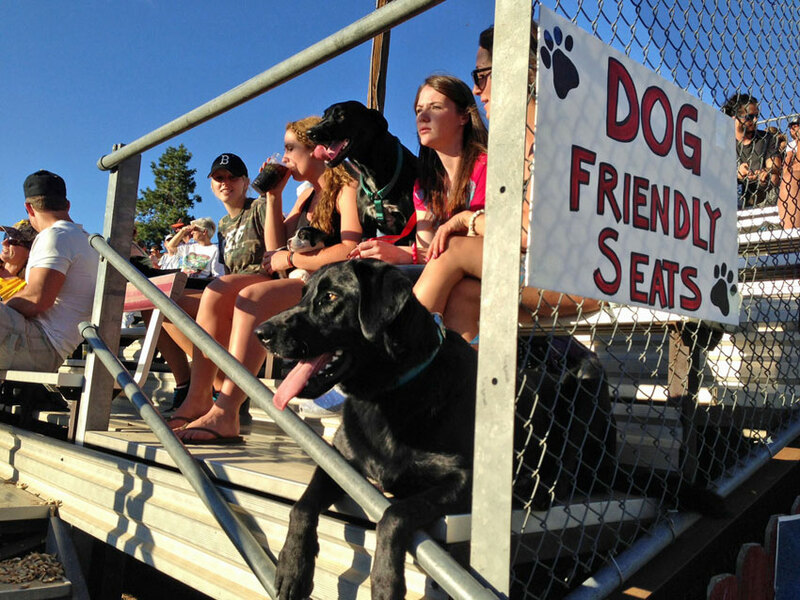 This special game allows you to sit in the bleachers with your canine best friend. 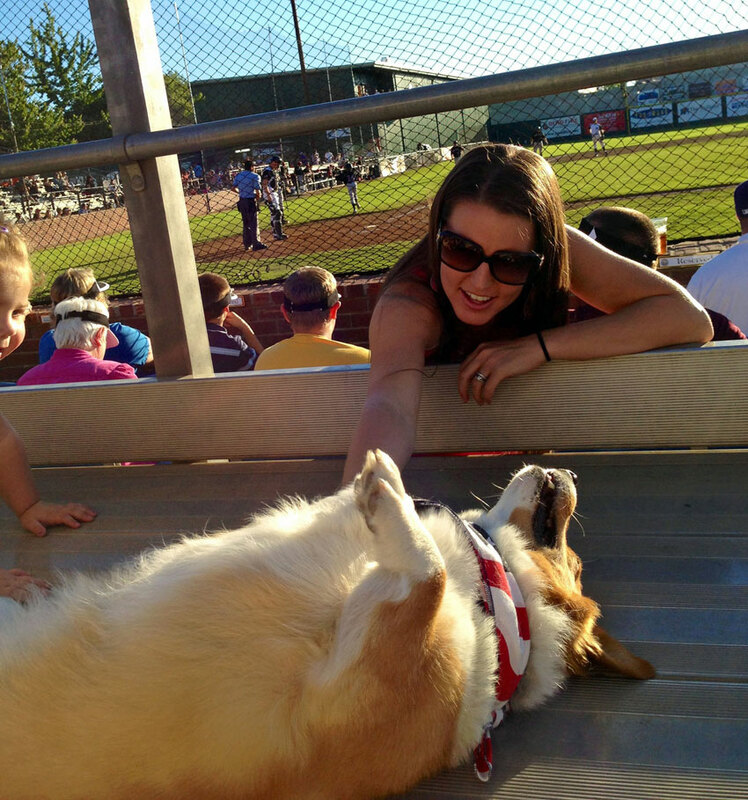 Bark in the Park is a benefit for the Humane Society of Central Oregon. 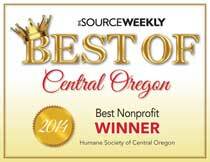 The Humane Society of Central Oregon will showcase animals available for adoption, and a portion of the general admission tickets will help the thousands of lost, neglected, and abandoned animals that HSCO cares for each year. Bark in the Park tickets are available at the gate. 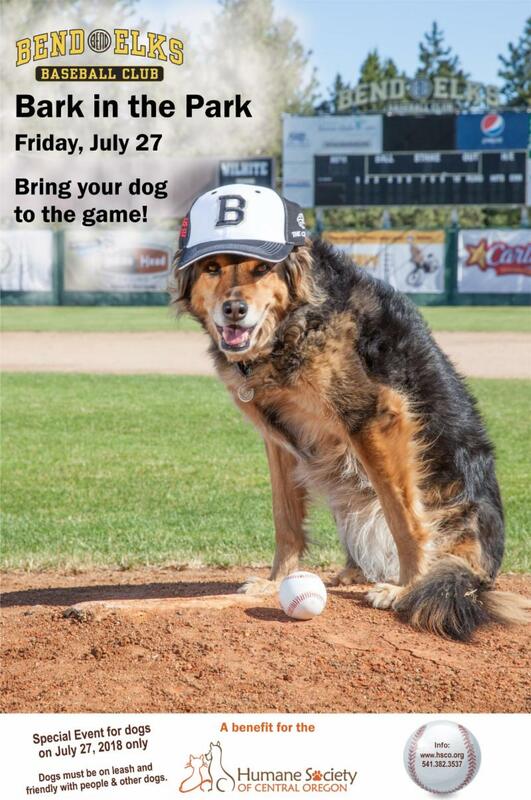 Kick off the dog days of Summer by enjoying the game with your canine companion against the Portland Pickles at 6:35 pm on Friday, July 27th. Dogs must be on leash and friendly to other dogs and people. For more information call 541.382.2537.